Keep your regularly scheduled dental appointments. 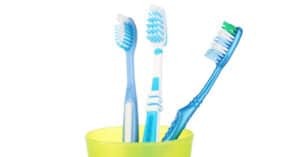 Not only do those regular cleanings keep your teeth and gums clean and sparkly, it gives our dental office in Eastanollee more opportunities to keep an eye on your oral health. That means we can catch problems earlier for much less expensive repairs and a longer-lasting smile. What could be a better way to begin a new year than with a bright, beautiful, healthy smile that you want to share with the world? Questions? Call our dental office in Eastanollee. We’re always glad to help any of our neighbors in Eastanollee, Toccoa, and Habersham County start the new year with a smile!